The first real equestrian helmet was approved in 1998, and it was an unprecedented and enormous advancement in terms of safety and comfort. GPA became closely involved in this elite sport, sponsoring top riders and partnering with the most prestigious competitions and organizations in the world, as well as supporting young talent. All of the 2008 Olympic medal winners, as well as three consecutive gold medals winners in 2004, 2008, 2012,and many world and European champions have worn GPA helmets. 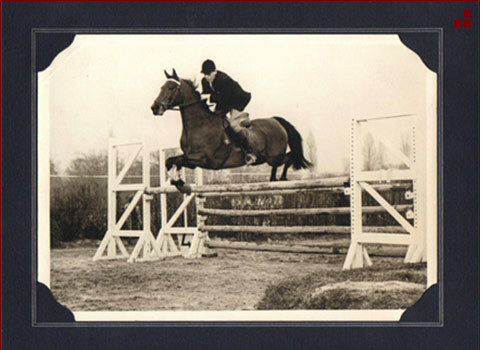 GPA then diversified into other riding disciplines: horse shows,racing, endurance, three day eventing, dressage, polo. specific models tailored for these disciplines used innovative designs and technology. These helmets include the “jock up”, the first jockey helmet, the “speed-air” which is light weight and ventilated, and the “first lady”,which is thee first helmet designed specifically for women. Future designs include a “town bike” helmet, a radical new design for the growing urban bicycle market. Symbolizing its success, GPA helmets are often copied but not equaled. The new partnership is a merger of the market expertise and experience with perfect control of design and manufacturing. Having it all under one roof in France is an important factor for future growth, and for quality control. The factory, in southern France now develops, assembles and controls the quality of GPA helmets. The helmets are laminated by hand with an extraordinary know how. Each helmet takes two days to build. R&D projects now being finalized and patented will show amazing improvements in terms of safety, and should be available by year’s end.